What is a coverage analysis? A coverage analysis is used to ensure that clinical trials and clinical research being conducted are compliant to clinical research billing. A coverage analysis is necessary to determine if clinical trials, clinical procedures or clinical items billed to the patient’s ensurer is billed appropriately. A very well known coverage analysis is a Medicare coverage analysis. We will be looking into what it is and when is it required, the uses of the templates available, its benefits and many more. We have also provided downloadable templates that you may use as reference. What Is Meant by Medicare Coverage Analysis and When Is It Required? Medicare is a national single payer insurance program that is being used in the United Stated as administered by the United States Federal Government. The insurance program is for people who are 65 years old and older, young people with disabilities, and people with permanent kidney failure who require lifetime dialysis and or a transplant. Medicare covers a lot of clinical and medical services and because of this, they need to make sure that the services being billed to them for specific clinical and medical procedures are appropriate, a medical coverage analysis is required. A Medicare coverage analysis is required for all clinical trials that involves procedures, interventions and test. They are then billed to third party payers to determine the eligibility of the study and determine if it can be reimbursed by Medicare. 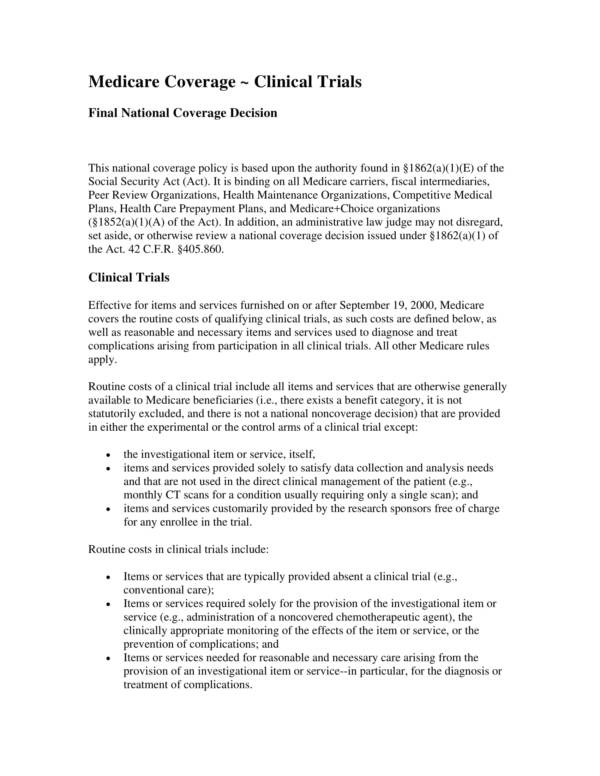 A Medicare coverage analysis lists all of the items and services that has been provided as part of the clinical trial. It comes as a bill with notes on what things must be billed to Medicare and what things must be billed to the sponsors of the research or the procedure. This way appropriate billing is ensured. You may also check out other analysis related articles, like Investment Analysis Templates and Needs Analysis Templates. 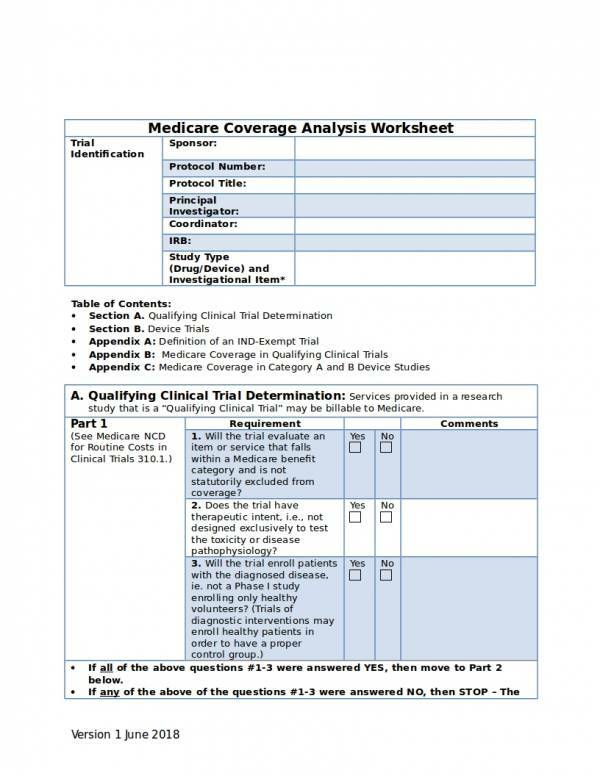 What Are the Uses of a Medicare Coverage Analysis Template? 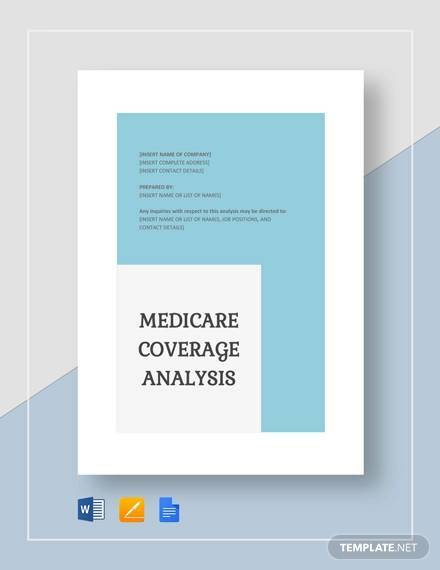 Medicare coverage analysis templates are used to be able to quickly and easily produce the document whenever it is needed. The template is used as a guide on what things must be considered for certain trials and their corresponding tests, procedures and interventions. This ensures that the analysis done is reliable and complete. 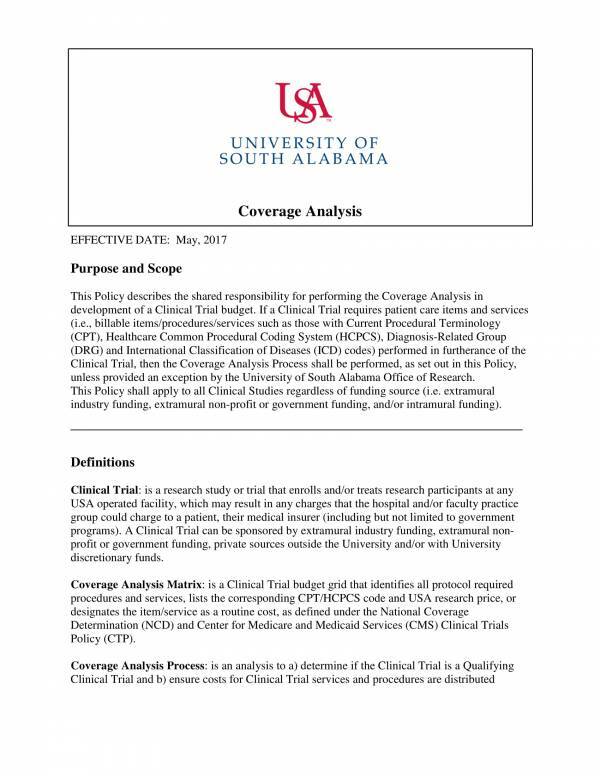 A Medicare coverage analysis is where findings or assessments about the clinical trial being investigated is recorded so that all the data are put in one place. 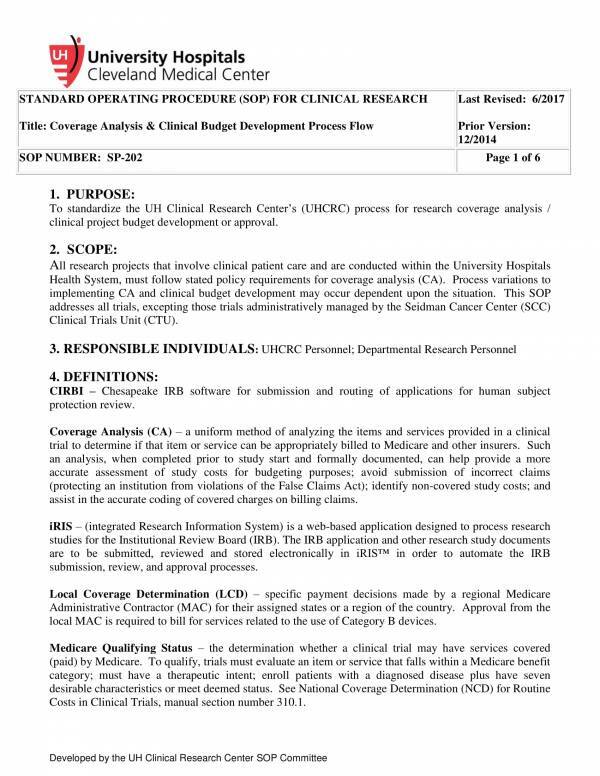 The template can also be used as a study material for Medicare coverage related topics and as reference when making one’s own Medicare coverage template. Other related articles you will find useful are Company Analysis Templates and Competitive Analysis Templates. 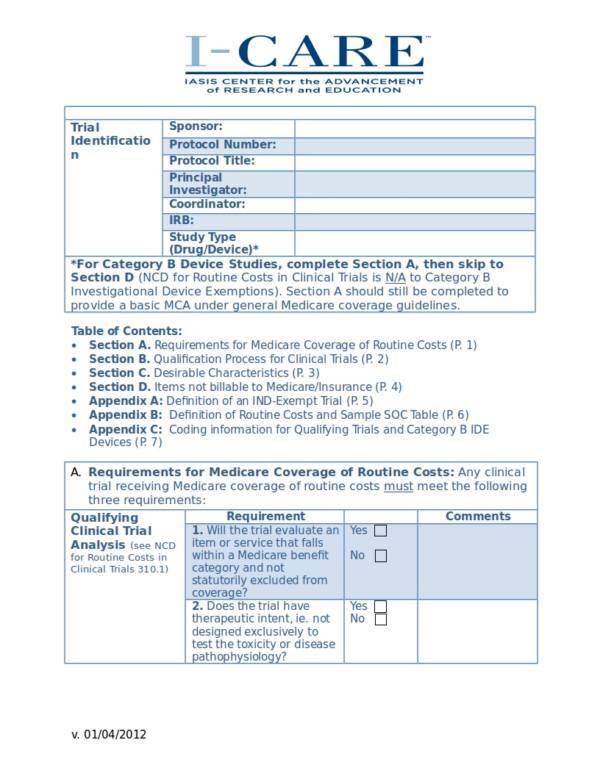 What Things Are Included in a Medicare Coverage Analysis Template? A Medicare coverage analysis may contain a lot of different things depending on the type of clinical trial or study being investigated on. In order to understand Medicare coverage, one must have at least the basic or common information found in a Medicare analysis template. The following are the things you can commonly find in different Medicare coverage analysis templates. Heading – It is necessary for any document to have a heading or title so that it can be easily identified and a Medicare coverage analysis template is no exemption. This way the document will not be mixed into other paperwork that it does not belong to or are unrelated. Study Title – This refers to the title of the clinical trial or research being conducted. This makes the document even more specific and identifiable. This is another way to determine what is being investigated and recorded in the document. This is important because there are a lot of similar studies being investigated with almost the same contents. 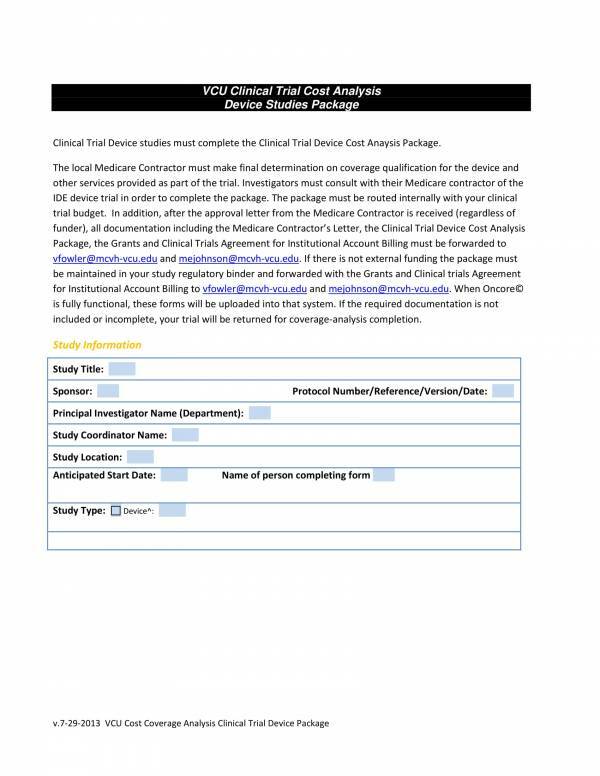 Purpose of the Study – Every study has a purpose and this purpose must be stated in the template so that the investigator or whoever is working on it can use it as their reference. 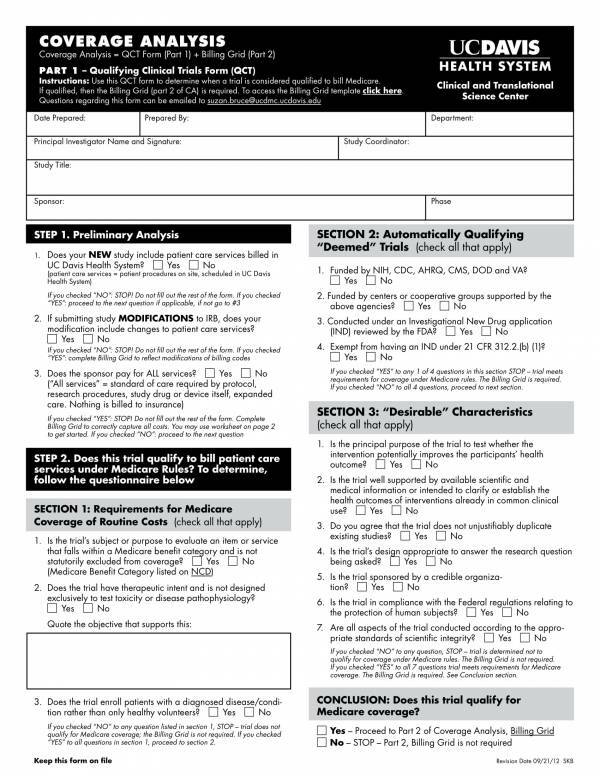 Instructions for Use – Different institutions have their own preferences as to how they want certain forms to be filled out and what information they want their based on Medicare’s requirements. These instructions are visibly positioned on top, beside or at the bottom of blanks or boxes that need to be filled out. Through these instructions you will be able to use the form correctly. Steps to Follow – These steps make up the largest part of the template. 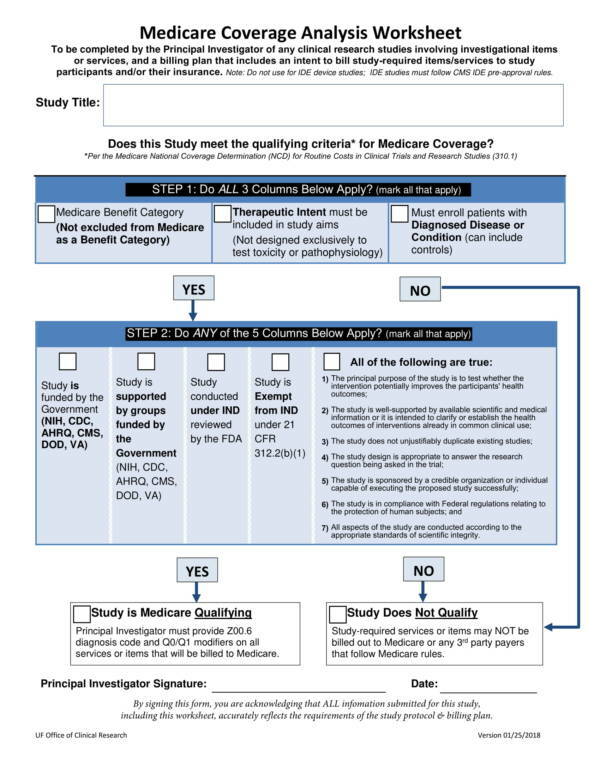 Medicare coverage analysis is used to find out of the clinical trial or study is qualified for reimbursement and this is what the steps is aimed at. Theses steps are often created in a flow chart like form so easily guide the user on the next steps to do to come up with a result. 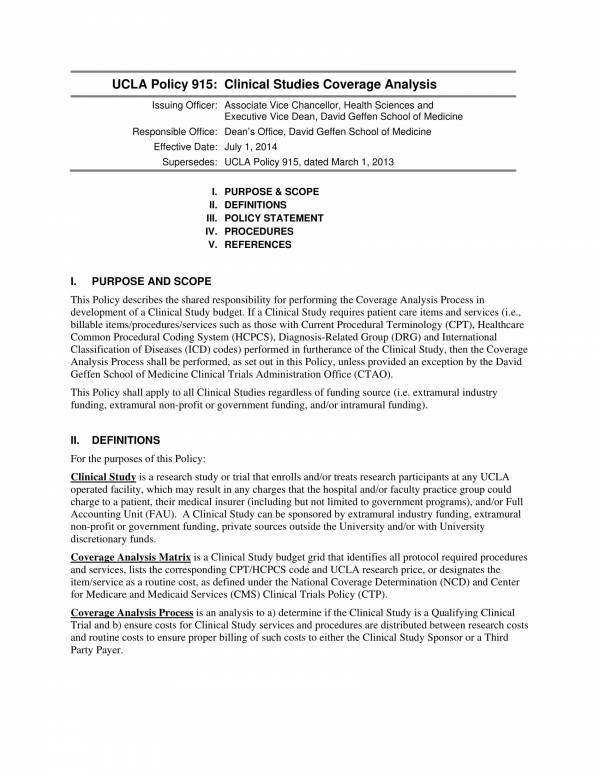 Principal Investigator – The name and signature of the individual or entity who conducted the analysis must be included. Through this the identity of the investigator is determined as well as the validity of the investigation done. Date – This refers to the date when the investigation was completed and when the investigator signed it. These things are common in Medicare coverage analysis templates and forms so it will be good to remember them. We have a collection of different analysis templates on our website that you may be interested in. Some examples are Sample Job Task Analysis Templates and Sample Cost Benefit Analysis Templates. Medicare coverage analysis is known to identify determine billing compliance, but it also offers other benefits aside from that. Here are some of the benefits of conducting a Medicare coverage analysis. Medicare coverage analysis helps in increasing revenue opportunities by identifying which clinical trials or studies are appropriate and which test, procedures and interventions are necessary to qualify for the coverage. This is because fraud can be avoided through thorough investigation so no amount or funds will be put to the wrong use. It is able to detect items or services that are not covered thus prevents necessary and inappropriate issuance of reimbursement funds. It prevents instances of being billed twice or double billing. Through a Medicare coverage analysis, potential coding issues are identified and errors like such are avoided. Processing of claims is sure to be compliant to the standards provided by the authorities or the legal regulating body. 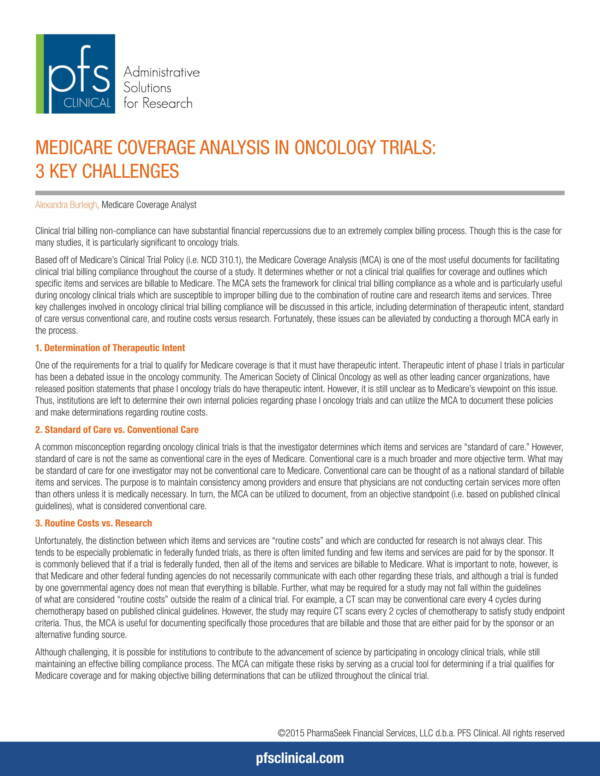 Since a Medicare coverage analysis also deals with clinical trials and studies, it is comes very useful to determine if the study being conducted is feasible or not. Other related topics you may be interested in are Sample Risk Analysis Templates and Sample Competitive Analysis Templates. When Does a Clinical Trial Qualify for a Medicare Coverage? Clinical trials are done to be able to find out how new medical approaches work on people and what their effects are. Before they become part of the services or items covered by Medicare, they must first qualify for coverage. In order to qualify for Medicare coverage, a clinical trial should meet the following criteria. There is what is called a Medicare benefit category and in order for a clinical trial to be qualified, its purpose must fall under evaluating processes or services that are included in this category. The patients or recipients of the trial should be able to receive results that will benefit their health and well-being, like physician check ups, reliable diagnostics tests and medical interventions, and safe medical equipment. Aesthetic surgeries does not fall under this category. The clinical trial should be created with therapeutic intention. This means that it should help individuals or patients feel better overall or improve their current health condition. The intention to heal or to improve health outcomes must be there. The patients who are likely to be enrolled in the program are patients who are already diagnosed with a disease rather than volunteers or individuals who are healthy or does not have any known diseases. This makes the clinical trial more reliable and the results more evident. Seeing results improve from this disease to getting better or being cured is more desirable as you can actually tell the changes from different health conditions. These qualifications make it seem like applying for Medicare coverage is easy. Being aware of these qualifications will give you a bit of an idea on what goes around Medicare coverage. We hope that you are able to learn from this article. For more about coverage analysis and other analysis related topics, you may visit our website. We have their articles, like Health Care SWOT Analysis Samples and Templates and Requirement Analysis.